Some people like to argue that more economic inequality is a good thing, because it is a “natural” byproduct of capitalism in a world of “makers and takers,” “winners and losers,” “wolves and sheep,” [insert your favorite Manichaean metaphor here]. However, too much inequality is deleterious for both economics and politics — for reasons that are intertwined. Those who amass exorbitant wealth often increasingly use a portion of their gains to capture politics. While the mythological promise of trickle-down economics is that we must not have progressive taxation, because giving more money to the already wealthy is the only way to spur economic investment and innovation and create jobs — in actual fact the majority of tax cut windfalls go to stock buybacks, offshore tax havens, regulatory capture, political lobbying, and campaign donations. All this is a runaway amplifying feedback loop that tilts the playing field further away from equal opportunity, social mobility, and democratic process. Wealthy elites seek to preserve the power structures that have benefitted them, and keep them (and their descendants) in the ruling class. It is a slow recreation of the aristocratic societies of old Europe that we fought a bloody war of independence to separate ourselves from. Yet the erosion of civil values, public engagement, and collective will — largely as fomented by the conservative elite over the past 50 years in America — and the ascendancy of the myth of “rugged individualism” have conspired to create a perilous condition in which corruption operates so openly in today’s White House and Wall Street that democracy itself is in great danger. are not merely empowered to separate us from discerning fact and fiction. They separate us from each other. Regardless of whether or not you agree that slashing spending, fiscal austerity, balanced budgets, and a low federal deficit are good ideas, the fact remains that the Republican Party does not generally live up to its aims of expense reduction and small government. As hard as it is to believe, there are still some people who think that Reagan cut the size of government, although Reagan was a big spender and laid the groundwork for the immense national debt we live with today. Then there was Ol’ Dubya with his two disgraceful wars, TARP bailout, auto bailouts, fiscal stimulus, and tax cuts. Not to mention yanking the election out from under Al Gore’s popular win via a leg up from Florida governor brother Jeb. 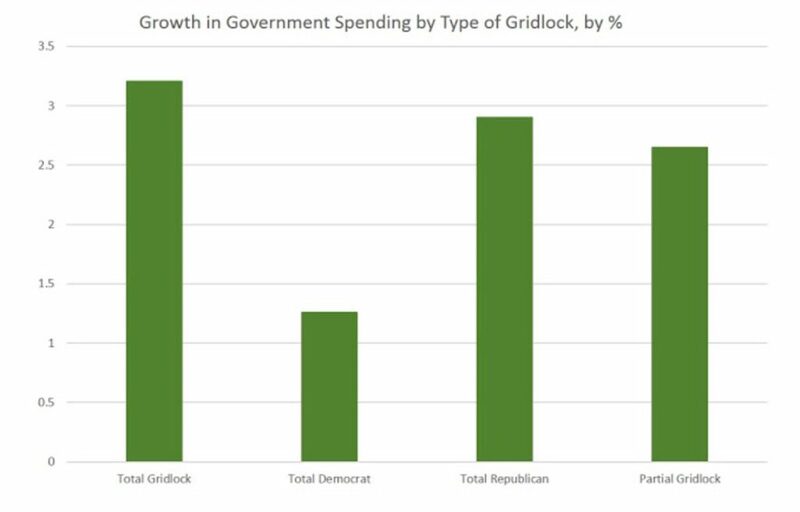 Total gridlock is the worst outcome, where impact to the budget is concerned. 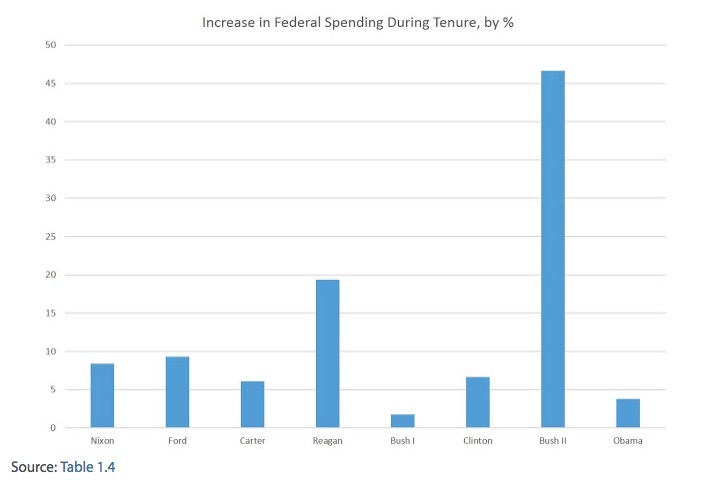 Total Democratic control of the White House and Congress is the most fiscally responsible since the presidency of Richard Nixon. So the idea of Republican leanness is a fallacy whether you believe that’s a worthy goal or not — and there’s a lot of evidence to suggest the tide is turning toward a wider appreciation of John Maynard Keynes’ approach to sensible fiscal spending when there is unemployment (puts idle resources to work and reduces government welfare expense; gives people a sense of purpose; builds community), if it is accomplished by debt financing (i.e., issuing Treasury Bonds — allowing individuals, pension funds, and so on to invest in the United States as sort of national asset class) and is used to build goods and structures that benefit the public at large: infrastructure, research and development, public resources, public health services, job training, paid volunteer work, parks and public spaces, etc. Keynesian and Classical theory have oft been at odds, but are better understood now as complements: in a healthy, roaring economy, government should take its boots off the throttle and avoid tipping over into the kind of speculatory gamesmanship that got us into hot water in 2007-8. But in a depression or recession, or when the economy is recovering sluggishly, it should be a goto solution to start thinking about where to apply government funds (i.e. our money!) to things that need doing anyway; services that invest in our economy’s greatest resource: its citizens; programs that position us for the future by having the luxury to think ahead boldly. Although the economy has recovered nicely for some — especially those in higher tax brackets — it has clearly left a number of Americans behind. 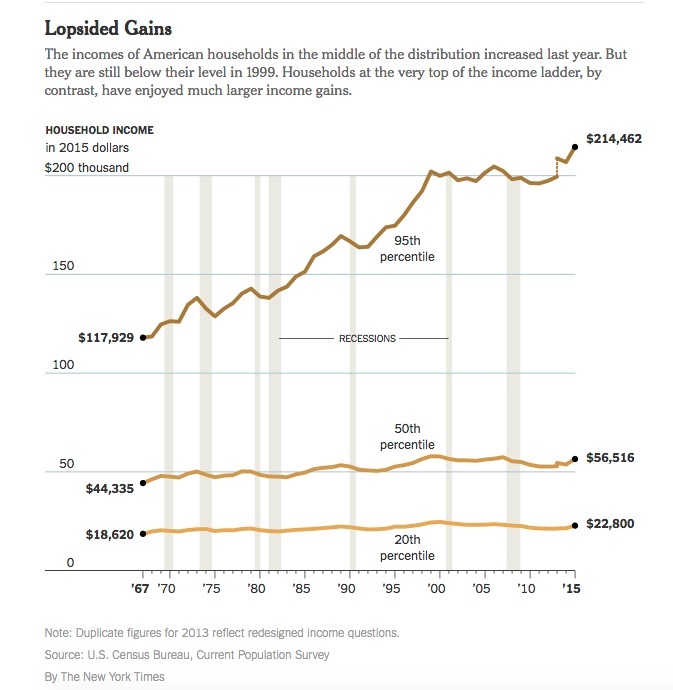 It’s only added to a trend that had already started in the 70s, when inequality began widening in the U.S. The populist white, nationalist ire unleashed in the 2016 presidential election was something perhaps few saw coming, even though in hindsight the far right has been whipping their base into a frenzy for years — arguably since Reagan, if not with Nixon. That means there’s still a healthy place for government spending, especially in areas we already know we’re in sore need of a boost: roads and bridges, a public health care option, basic research, advanced manufacturing, the pivot to a renewable energy economy, to name a few. by the way: Her plan plans to finance itself by making wealthy individuals and corporations pay their fair share in taxes, and would not appreciably add to the deficit beyond any existing projections from the OMB;but here’s the best explainer I have found about whywe should seriously loosen our collars over the national debt.There is no reason to pay it down; and indeed, it would be dangerous and deleterious to even try to, because we’d be starving the economy of the circulation it needs to keep operating and growing:💰money💰. There are a lot of Silicon Valley engineers guzzling soylent in dark holes who ought to get out more and read a book that has lots of words in it and hasn’t been published by O’Reilly. More people should stop and ask themselves if they even truly believe they’re “creating value,” or just furiously constructing Rube-Goldberg devices to fleece the last remaining dollars from the formerly middle class.